If you’ve ever complained about receiving way too many emails on any given day, you’ve never worked in tech support. Ask any IT team member, and they’re likely to beat all your stories. Especially IT support staff who works for a Help Desk which invites employees to directly email any problems, questions or complaints to individual team members or even to a central Help Desk. At large or medium-sized employers, the emails are always likely coming in, everything from general maintenance needs to “operator error” problems where an employee did something they weren’t supposed to and doesn’t know how to undo it. Your typical tech team member is constantly on the go, especially if they have multiple properties and locations to service. Whenever they take care of one problem, there are likely dozens more waiting for them. 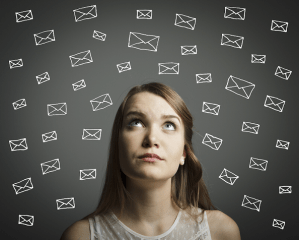 It can becomes an increasing challenge to keep track of all the emails coming and going, especially with multiple people trying to assist the same user groups. One solution is software that automatically converts emails into work orders. Rather than trying to prioritize and delegate scores of direct daily emails, team members can now automatically receive work orders, which are easier to keep track of, especially if the documents acknowledge when the order was opened and completed. Useful tool to track productivity. Work orders can provide a good metric for supervisors/managers to keep track of how busy the IT staff is, rather than trying to audit work order-related emails from other work-related emails. Helpful for history. Work orders can also offer better documentation of a particular task, especially for a chronically malfunctioning desktop or printer. Rather than long email threads detailing past commentary and observations, the work order may be able to include references to past jobs, including who has worked on it and their attempts to figure out a solution. Easier for users. Rather than trying to describe a problem in an email, they just need to fill out a few fields on an online work order form about what’s wrong, and it will be automatically converted to the help desk ticket, along with that person’s email and contact information for follow-up. Useful backup. When you’re dealing with technology, redundancy is a good thing, just in case something goes wrong. Emails could be lost. Work orders could be lost as well. But you have better odds of getting at least one. Overall, converting emails to work orders can hopefully improve the efficiency of the tech team, which can reduce everyone’s down time.